UAE beat Maldives, Kuwait beat Bahrain and Qatar beat Saudi Arabia in the third round of matches on 24 April. 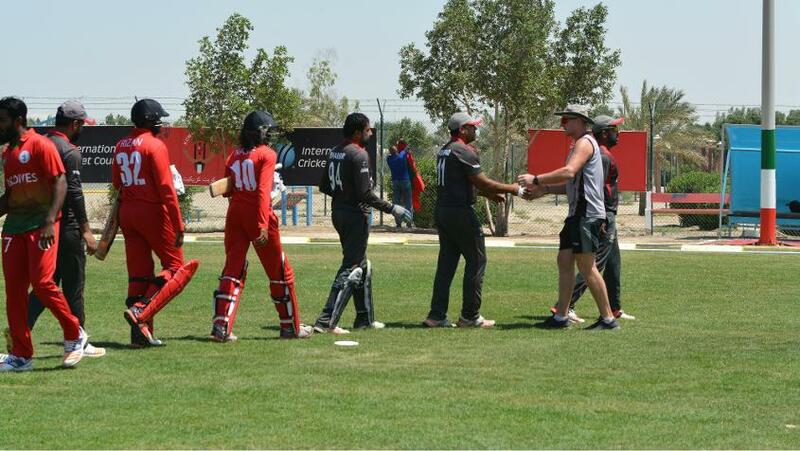 The United Arab Emirates (UAE) beat Maldives by 43 runs to qualify for the next round of ICC World Twenty20 Asia Qualifier ‘A’. At the Sulabiya Ground in Kuwait, UAE won the toss and elected to bat first. Maldives started brilliantly by picking up UAE opener Ashfaq Ahmed in the first over and Chirag Suri soon after in the 3rd over. At one stage, UAE were struggling at 35/4 at the end of six overs against a rejuvenated Maldives bowling attack. Thereafter, key contributions from Mohammad Usman (43 runs in 53 balls) and Mohammad Boota (35 runs in 29 balls) helped UAE post a total of 123 runs before they were bowled out in 19.5 overs. Maldives bowlers were very economical throughout the innings as Umar Adam gave ony 14 runs in his four overs and Azyan Farhat picked up 2/15 in his four. Maldives started with an intent to score quick runs and put more pressure on their opponents. However, lost their key batsman Nilantha Cooray in the second over. Hassan Rasheed seemed to step up and carry on the Maldives chase, but he perished as well after scoring 17 runs. The Maldives middle order collapsed against the experienced UAE bowling attack and they were bowled out for 80 runs. UAE captain Rohan Mustafa picked up three wickets in his four overs. Mohammad Usman was declared the Player of the Match for his knock of 43 runs in a low-scoring affair. Kuwait faced Bahrain at Doha in their quest to reach the playoffs. The hosts won an important toss and decided to bat first but once again, Kuwait could not put up a good opening stand as skipper Mohammad Kashif departed without scoring. Kuwait then took a cautious approach and started to build a partnership. 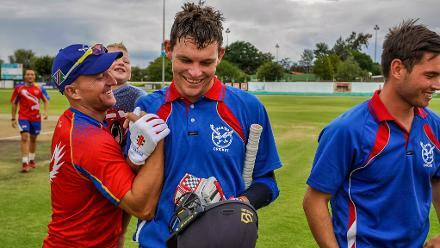 However, they lost their second wicket on 35 in seventh over and third wicket soon after when the score was 38 runs. A 49-run partnership between Ali Zaheer (26) and Arjun Makesh (26) gave some respite to the Kuwait team as they brought up their 100 runs in 17th over. Yasser Idris looked to fire it up as he played a quickfire knock of 15 in 9 balls, which provided the much-needed impetus to Kuwait's innings. UAE kept up their winning streak and made it three wins out of three yesterday at the #WT20 Asia Qualifier A.
Sajid Manzil (11 runs in 3 balls) and Ravija sandaruwan (34 in 9 balls) hammered 45 runs in the last two overs to post a respectable total of 153 for Bahrain to chase. Bahrain started well but they were quickly 29/2 in 4.3 overs. A 48-run stand between P Kurup (43 runs) and Mohammad Sameer (18 runs) kept Bahrain in the hunt before Mohammad Sameer was picked up by Abdul Sadiq. Arjun Makesh, playing only his second match for Kuwait, proved pivotal as he picked up four important wickets and gave away only 21 runs in his four overs. Bahrain lost by 23 runs. In the other afternoon game, Qatar won the toss and decided to field first against Saudi Arabia. 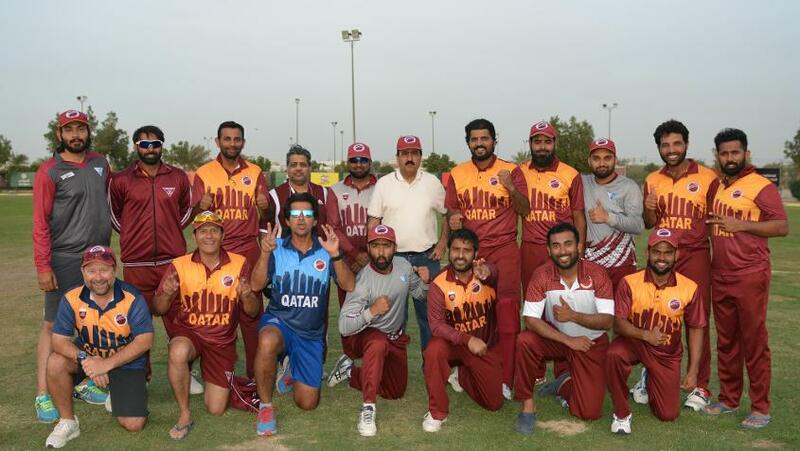 Saudi opener Faisal Khan looked in great touch as he scored 29 off 20 deliveries but Qatar put the brakes on Saudi scoring by picking up wickets at regular intervals. Saudi Arabia were 56/4 after eight overs before Shahbaz Rasheed scored 36 runs in 32 balls and helped them reach 135/7. Chasing 136, Qatar lost opener Imran Arif early, who didn't trouble the scorers. Faisal Javed Khan looked to attack and scored 18 runs of just eight deliveries. Tamoor Sajjad and Zaheer Ibrahim scored 35 runs each and set-up an exciting finish. Qatar were 109/6 at one stage and needed 26 runs with four wickets in hand. Qatari batsmen Khurram Shahzad and Noman Sarwar partnered to gather the requisite number of runs with one over to spare. Sajjad was declared the Player of the Match. Kuwait face UAE, Bahrain face Qatar and Saudi Arabia face Maldives in the last round of matches on 26 April.